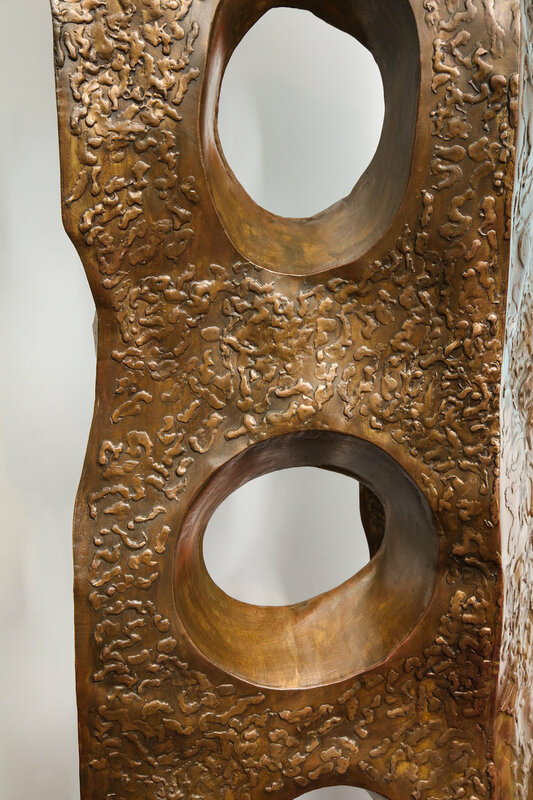 Freeform sculpture of welded and hand-worked bronze with riveted corners and applied texture. Inspired by the writings of Carl Jung. Artist-signed at base. h. 89" w. 30" Base: w. 34" d. 27"